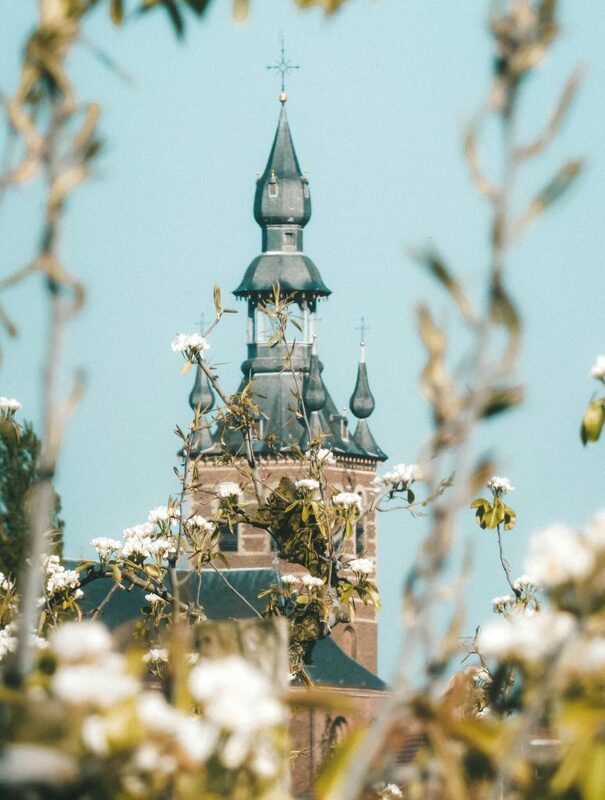 Spring has sprung and in Belgium that means blossoms are sprinkling the rural landscape of Haspengouw, the largest fruit-growing region in Western Europe. 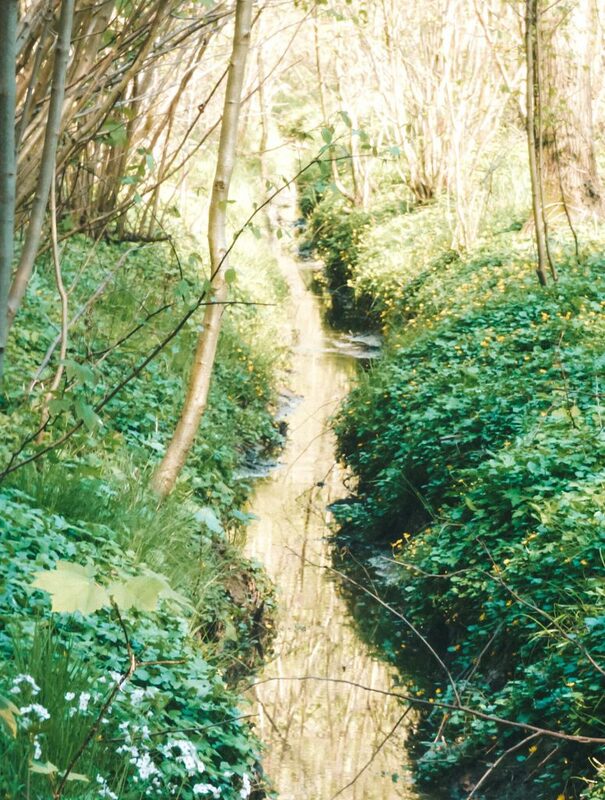 If you’re still suffering from the greyness of March, I suggest you get yourself over to the south of Limburg province in Belgium. 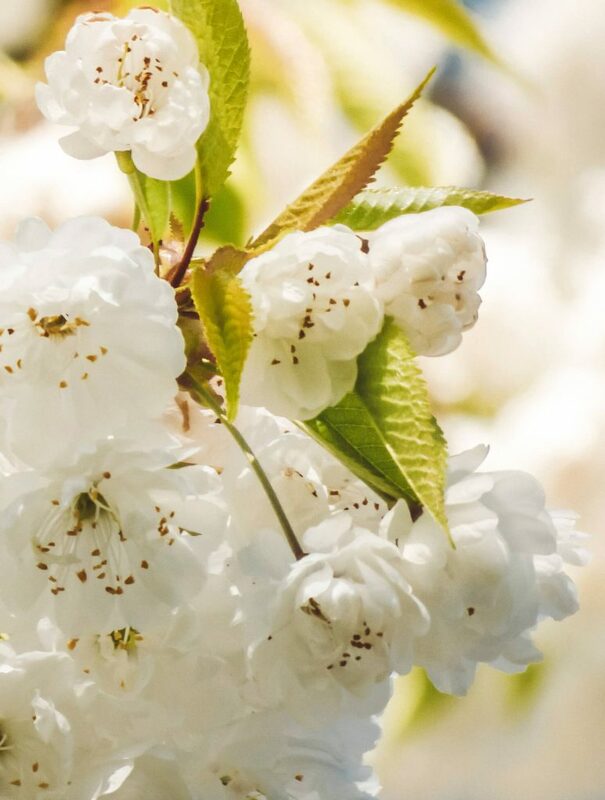 In April, the entire area turns a shade of soft pinks and whites as millions of apple, pear and cherry trees blossom simultaneously. After a rather gloomy month of March, we were itching to get out into the sunshine for a short getaway. 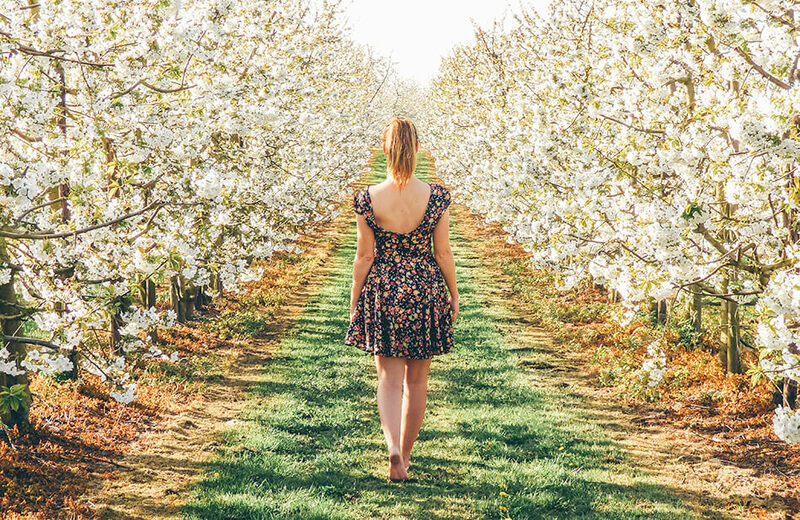 So when warmer spring temperatures were finally heading our way, we made a very last minute decision to jump into our car and explore the blossoming orchards! It was my first time ever visiting this area during blossom season and it was insanely gorgeous! I can’t believe I never visited it before. It was jaw-dropping amazing. Here’s a little glimpse of how we spent our little break! 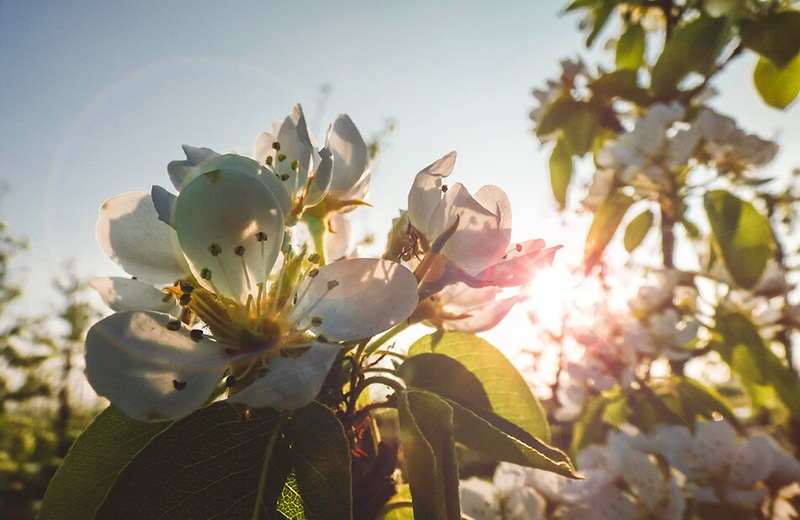 Fruity Haspengouw is the perfect destination for a day of hiking or cycling from orchard to orchard, enjoying the flowering blossoms or fruits growing on the trees. The pastel-colored flowers during blossom season provide a romantic backdrop for a picnic amid the fragrant bouquets of flowers. 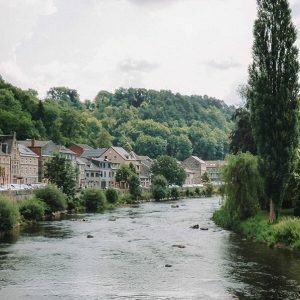 You can always arrange your own picnic of course but if you would like to taste the products of this beautiful area, you can order one specially made from the Limburg Tourism Office, complete with local produce, hiking-, cycle- and car routes and a tip to find the most romantic picnic spot. You need to order them 3 days in advance through the following email address: info.toerisme@sint-truiden.be. Picnic basket costs 50€ for a lunch for two. 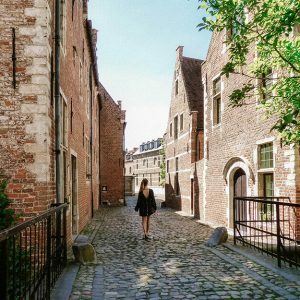 if you’re road tripping through Europe and you happen to find yourself in Belgium, the car is an easy option to explore the fruity surroundings of Haspengouw. There are four different marked routes that take you through the rolling landscape, fruit plantations, picturesque villages and castles. Belgium has a dense train network which means Sint-Truiden is easily accessible from multiple cities. From Brussels, trains to Sint-Truiden leave every hour and take about one hour. They have bike rentals right outside the train station. 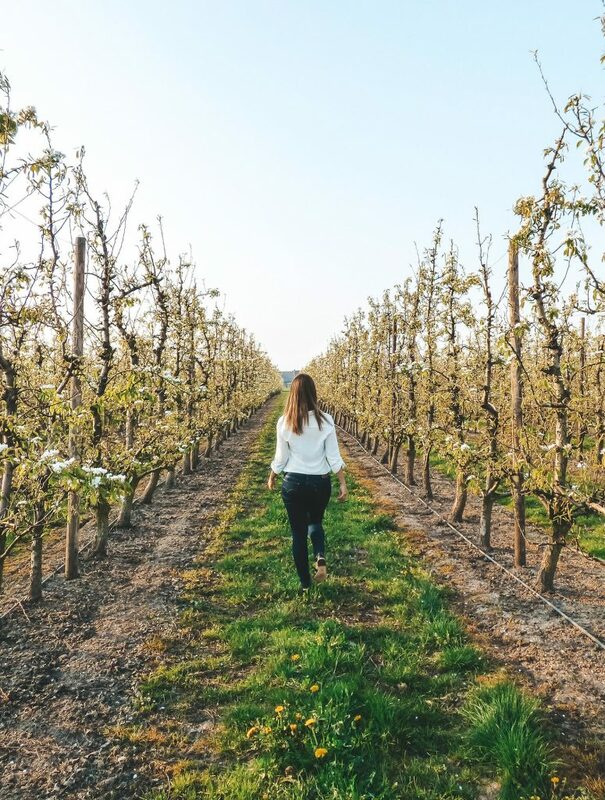 You will be provided with a bike and a map (with 5 different routes or you can use the Limburg cycling network and tailor your own route by cycling from node to node according to your own fitness and interests), and can then cruise through the orchards on two wheels! If you prefer your own two feet, different hiking trails zigzag through the rural surroundings. 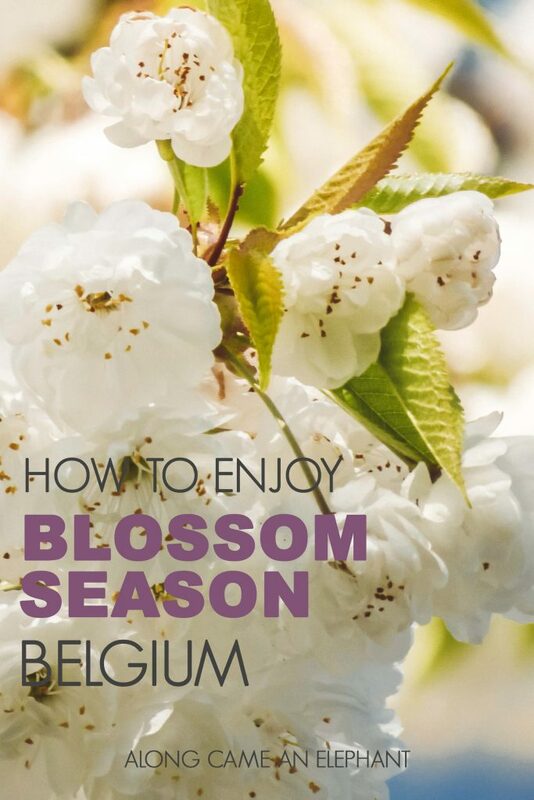 When is Belgium blossom season? 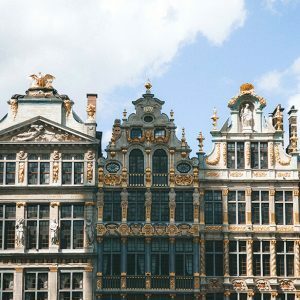 You should definitely try to visit in April or May because then ‘the Tuscany of Flanders’ is at its best. The blooming of the orchards however, is not as punctual as one might like. Luckily you can check out this website in order to get a real-time view of the state of the orchards. 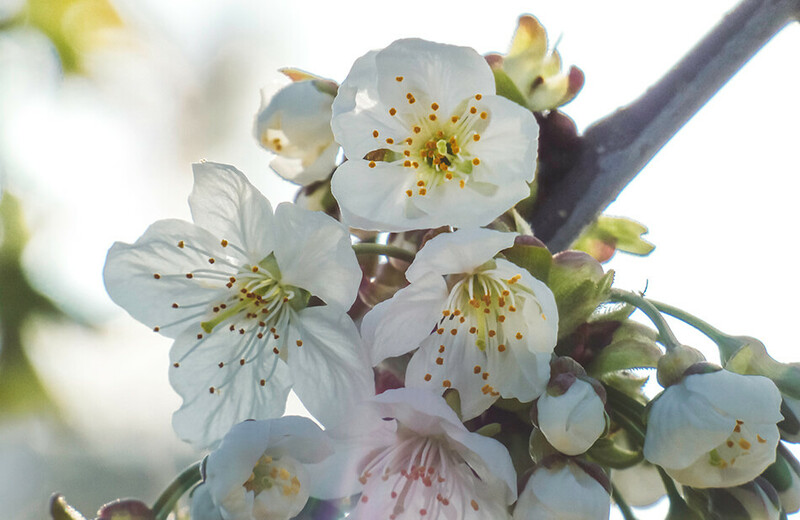 Normally, the blossoms are at their peak in the second half of April but blooming was early this year and the blossoms were at their peak in the first half of April. 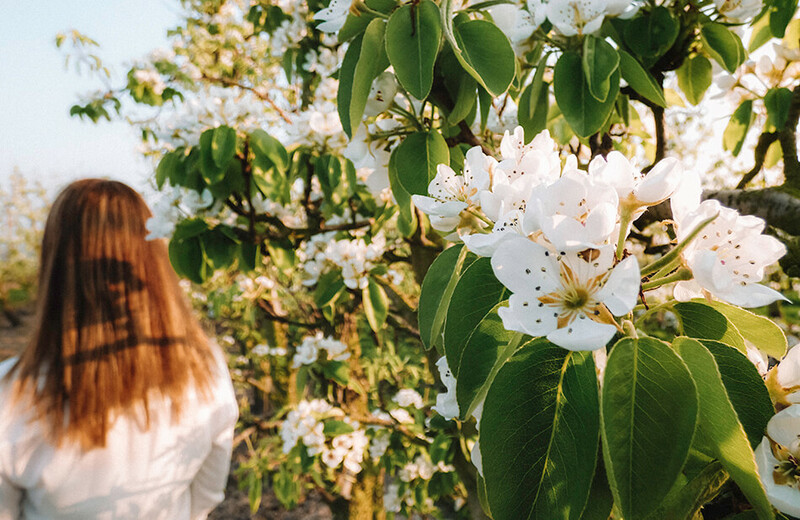 So if you’re (desperately) in need of some color after the gloomy winter months, try and schedule a romantic trip through Belgium’s blooming orchards into your itinerary! 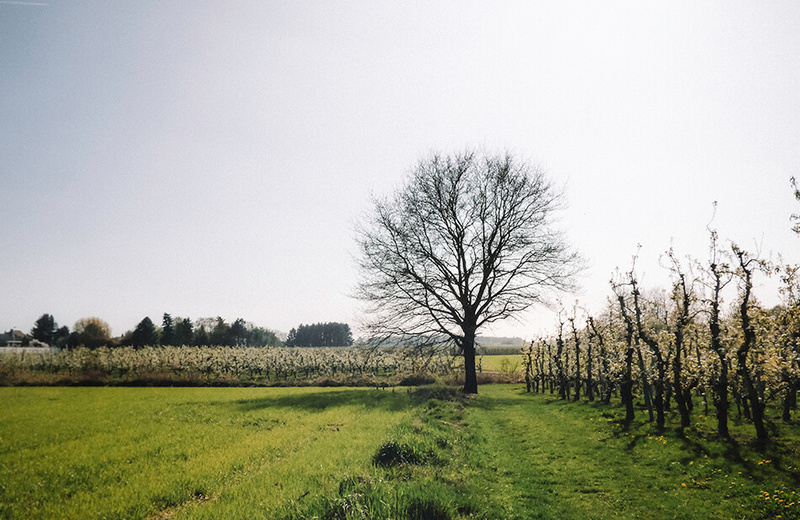 Ever been to Belgium and its enchanting orchards? Or is there something similar in your neighbourhood?